I adopted the name ’History With A Difference’ as it encapsulated many of the ideas I had in working with history. My interest in history started with books. I have always had a voracious appetite for reading. Of particular interest were historical novels and I credit the work of Eleanor Dark and the ‘Timeless Land’ series for my early interest in Australian history. The television shows of the 60’s, particularly the wonderful British sagas such as ‘Upstairs and Downstairs’ and the ‘Forsythe Saga’, added to my interest. I still read everything I can find, especially those books that highlight living and social conditions, fashion and personalities. Studying history at Melbourne University, I preferred subjects with colour rather than those emphasising dates, economics or politics. I was also studying art at this time, and after two years of teaching, I became an Education Officer at the National Gallery of Victoria. Here my great interests in art, history, particularly Australian, fashion, lifestyle changes, interesting artists, all were catered for in the nine years I spent there. In 1975 I went to Italy on a Dante Alighieri scholarship, and immersed myself in European culture. An exchange to the Art Gallery of South Australia enabled me to further extend my interest in history and to travel extensively around my ancestral state before returning to the art gallery in Victoria. 1983 was a turning point for me as I arrived in Canberra to work as an Education Officer at the Australian War Memorial. After fifteen years at the War Memorial I returned to teaching. This was part time so I was able to develop history presentations in a ‘show and tell’ format. I also recorded oral histories of women as well as a history of St Benedict’s Convent in Queanbeyan NSW. 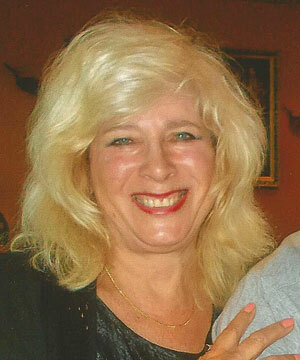 I particularly enjoyed studying this person and I have represented her in many ways. I dress in clothing from Judy’s time, some of which is from my colonial clothing collection, and I have used her voice to tell of the past to both adults and children. Supported by the ACT Heritage Unit, I continue to explore ACT history. I have produced twenty stories on this theme for schoolchildren. After years of developing rapport with a variety of audiences, and expanding my collection and repertoire, I now have a venue where I can display and interpret my collection. It is the Tuggeranong Schoolhouse Museum, an ACT property built in 1880 and rich in the history of early schooling in the ACT. It also is the perfect venue for showing items from the Victorian and following eras, and particularly, the fascinating history of the schoolteachers and their families. It is my tribute to Canberra’s early pioneers. 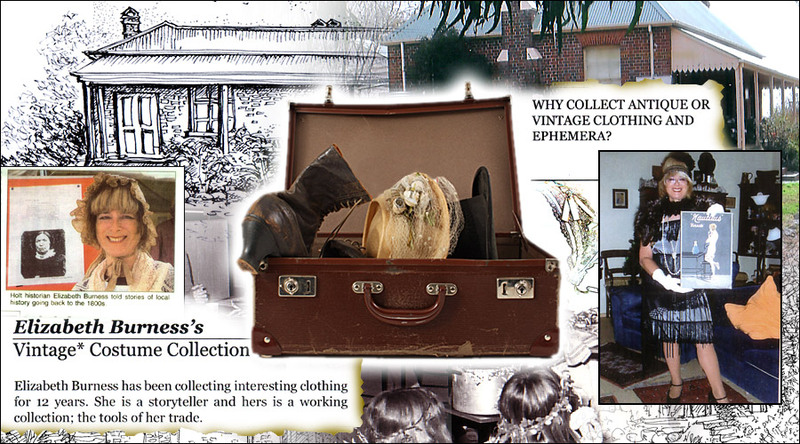 Collect Antique Or Vintage Clothing And Ephemera?